84, of Pearl City, a half century member of the Professional Golfers' Association (PGA) of America, died March 1, 2019. He served in the U.S. Air Force 1956- 1959, stationed in France and Germany. He participated in many national golf tournaments: 1958 Belgian Open, 1958 French Riviera Open, 1959 German Open, 1959 German Amateur, and the 1959 Luxembourg Amateur in which he reached the quarter-finals. He won the 1959 Belgian International Amateur Championships held in Liege, Belgium. Also in 1959, he qualified for the USAF Europe Championship in London, and then qualified for the World-wide Championship held in Montgomery Alabama. Other USAF championships took him to Paris, Frankfurt, Wiesbaden, and Libya, North Africa. After returning home he became the Assistant Pro at Moanalua G.C., then at Fort Shafter G. C. In 1964 he was the low bidder for the Hilo Municipal G.C. pro shop concession and was the Head Pro for 10 years. As a PGA member, he participated in the 1967 Canadian Open, which was won by Billy Casper, the 1968 Japan Open in Kobe, and the 1968 California State Open in Santa Maria, CA. Walter participated in many tournaments held locally, as well. He won the 1970 PGA Medal and the 1975 Hilo Open. In the 1970's he obtained a pilot certificate, owned a Cessna, and flew outer island to play golf. He became an Assistant Pro in 1978 and Head Pro in 1981 at Pearl Country Club, where he stayed for 17 years. He was a respected golf instructor. One of his pupils was Lenore Rittenhouse who would become an LPGA player. In 1982 Walter played in the New Zealand Open in Auckland. He won his place in this tournament when he won the Air New Zealand Hawaii Golf Championship Pro/Am at Royal Kaanapali. In New Zealand, he was paired with Peter Thompson, a 5-time British Open winner, and Kel Nagle, also a British Open winner. He played a practice round with Sandy Lyle who later won the Masters. Golf was his passion. It was his childhood dream to play in tournaments. 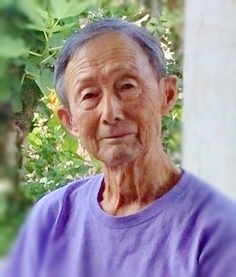 After retiring from Pearl in 1995, he continued to play golf, took up target shooting at Kokohead, and enjoyed many sight-seeing and golf trips across the U.S., Canada, Australia, Europe and Japan with wife, Jean. He also enjoyed watching the grandchildren grow upgoing to baseball games and teaching them golf. Survived by wife, Jean; step-daughters, Julie (Peter) Fujimoto and Nadine (Michael) Milan; step-grandchildren, Dayna Fujimoto, Sheldon Milan and Sean Milan. Private services.